Much of Konrad's illustration work could be classified as cartoons, technical illustrations and caricatures. In this, the "Illustration" section, we tried to show only those that don't fall under the other 3 categories. Further below you will also find realistic illustrations. As an illustrator, Konrad loves working on the small details. 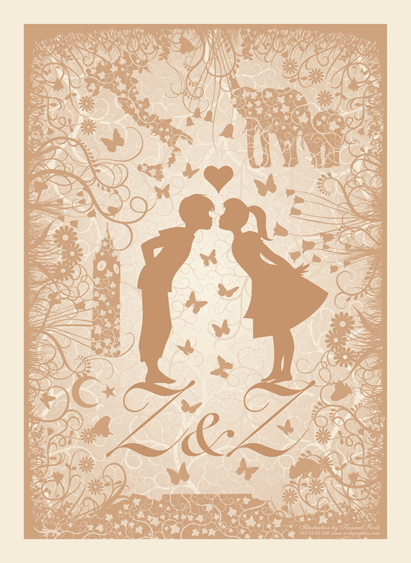 This wedding invitation card was vector-illustrated, then printed on light cream card that had a subtle sparkle when held up to sunlight, giving the brown ink a bronze sheen. 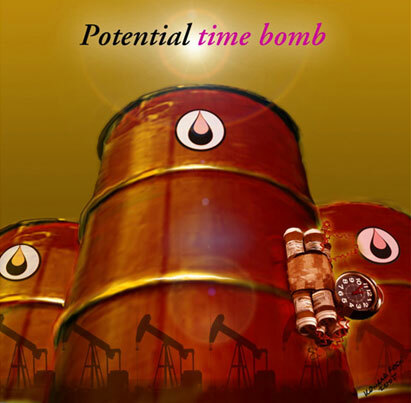 The headline for this Rode's Retail Report edition read "Potential time bomb". Konrad and Rode's CEO, Erwin Rode, loved how this editorial illustration turned out. The US occupation of Iraq had been going on for a while now, and an oil crisis was possibly looming. Konrad used digital finger paint to get that oily feel on the barrels, and kept the colours desert-like, sludge-like. Commissioned by Rode & Associates Property Consultants. "Welcome to the Martin Tudhope Show!" by Sarah Britten won a silver prize for her story of a bright middle-class teenage boy growing up in a family of women and his infatuation with a rich girl at school. Many of the humorous situations are easily identifiable with the readers' own experiences. 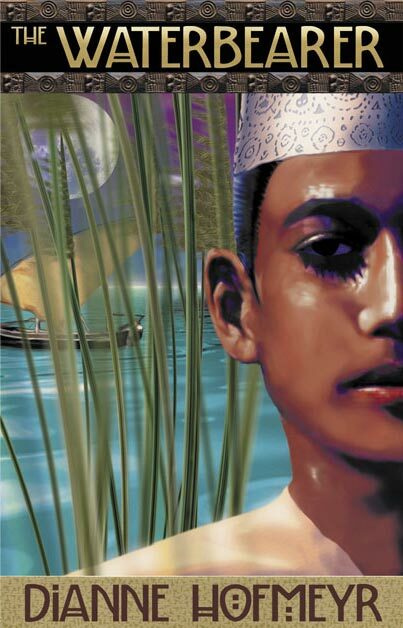 Sanlam Prize for Youth Literature 2002 (Silver). The brochure this illustration was made for, was designed to advertise a personal growth project specifically aimed at recovering addicts in need of some introspection – a spiritual retreat. The service involved a trip to Nature's Valley near Plettenberg Bay, known for its exquisite natural beauty and serenity. We tried to capture the essence of that valley and the calm the clients would experience during these outings. The brochure was distributed at rehabs in South Africa. Commissioned by Journeys in Self-Reflection. 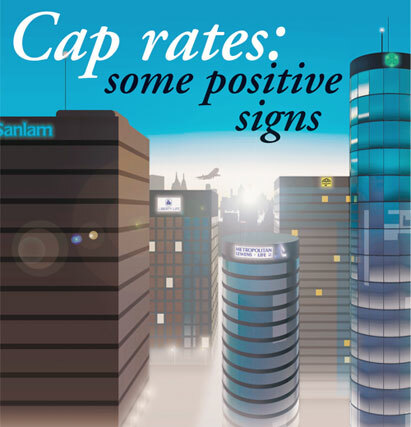 For this economics publication cover we illustrated an imaginary city centre occupied by insurance companies who stand to benefit from the news in the headline, "Cape Rates: Some Positive Signs." The sun's rising, there may be good news. 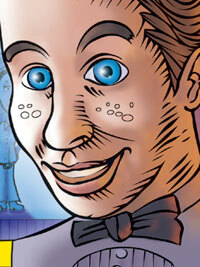 This was one of our first illustrations for Rode & Associates. 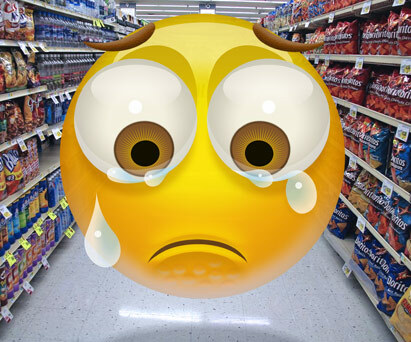 For this retail economics publication cover we illustrated a large emoticon drifting in a grocery store, tears running from its cheeks. It was a bad time for retailers, and sales were really down at the time. This was a personal project of Konrad's circa 2000. The idea was to capture the essence of a very beautiful acquaintance of his in a fairy caricature, but rendered in Japanese comic book style a.k.a. manga. All he had to go on, was her face in his memory, but because the nature of this style is not about accuracy, all he really needed to get right were her eyes, eye brows and hair, well, in a caricature kinda way. This book by award-winning South African / British author Dianne Hofmeyr ended up being a pet project of Konrad's. It's one of those books that are so rich in visual elements that your imagination goes wild. 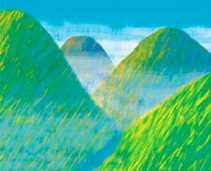 This "traditional media" illustration was created using a mouse – not paintbrushes or pen tablets. The book was aimed at teenagers and young adults and published by Cape Town publishers Tafelberg. MER Prize for Best Youth Publication winner 2002. 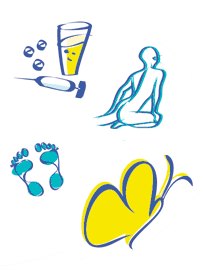 For this brochure, Konrad created simple, vector based "felt pen"-style illustrations to represent themes such as addiction care and other disciplines. Commissioned by Kenridge Medical Centre in Durbanville. 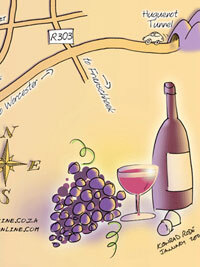 Paarl Wine (Paarl Vintners) commissioned Konrad to illustrate a map explaining how to get to PW's member wine farms. Konrad particularly liked the golden, low set sun's reflections. Illustrating maps vs rendering them can make such a difference! It can make a map look attractive, even delicious, like you *want* to go there. 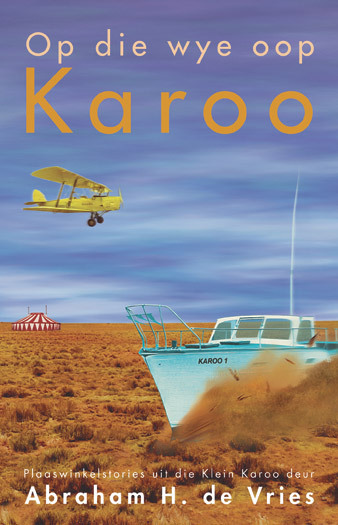 "Op die Wye Oop Karoo", a collection of short stories by Abraham De Vries, a well-known South African writer, was published in 2002. The title translates as "On the Wide, Open Karoo". The Karoo is a large semi-desert area, a place with character. The book cover illustration was absurd, reflecting the hilarious situations often described in the short stories. Design-wise, the colours and fonts were chosen for the retro feel it lent to the cover. De Vries' readers are characteristically of the older Afrikaans generation and the style reminds one of a time gone past. Commissioned by Human & Rousseau Publishers.